Is mall culture capturing India? Absolutely, without any doubt the mall culture has gripped Indians and they seem love every bit of it. Few days back I visited a newly opened 2 million square feet everything-under-one-roof mall in Pune. I was shocked to see the number of people that had thronged the place. It seemed to be some kind of a huge people procession out there. 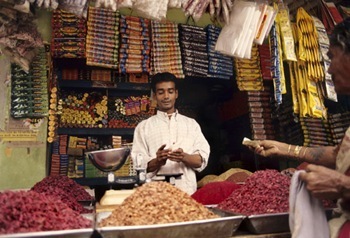 In earlier days (about a decade back), if you wanted to do any kind of shopping, one had couple of places to go (or should I say streets) like Laxmi Road or Main street (every city has shopping streets like these, especially in the downtown area), where small shoppers line up across the roads. Bargaining to extract the best price was common place- and it had it own charm too. But everything has changed now. The younger and older generation alike prefer buying stuff from huge malls where one not only get variety, but quality too at moderate prices. Even for your everyday grocery buying superstores have come up at every nook and corner. 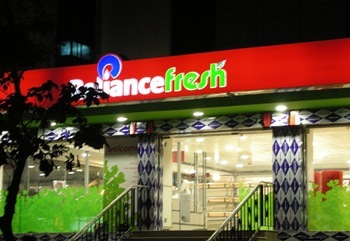 Just to give you an example, we have around 8 superstores (Reliance fresh, Spencers, Big Bazaar) within area of roughly 5 sq. km. The main attraction with all of them is competitive pricing as compared to next door retail grocery shop. In a recent survey done by Jones Lang LaSalle Meghraj, a real estate consultancy firm, it reports that 328 new malls are expected to come up in metros and Tier I, II, III cities by 2010. And the reason for so many malls and super stores coming up is simple – huge consumer demand. According to study carried out by Assocham, a whooping Rs. 1,31,804 crore has been invested in organised retailing in last 6 months alone. Retail sector seems to be the next big thing in India, and with Software jobs going down, retail seems to be the perfect sector to dive in for aspiring candidates ! Very unfortunate , nothing has been spoken about Futuregroup. The group( Big Bazaar) who made things affordable to the mass , what earlier the riches could only…has been kep silint in the article. Reliance in retail is a very small player. Bigbazaar brought the retail culture in India, and its FutureGroup only who shares the king sharfe in the retail. Ezone , Pantaloons, Food Bazaar and Hometown they simply stand tall. But are these malls still doing well in the economic crisis? Are new ones still being built? Informative but need to be updated seeing the current market conditions. Remember me?? You have given me a lot information about retail which I was really dying hard to find out. Lots n lots of thanks.